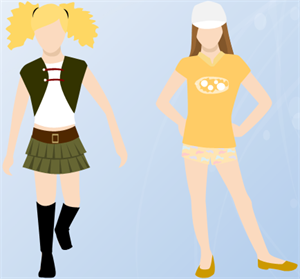 Creating child dress design with free templates and examples. Child dress design has never been easier. Fashion can change on a dime, evolving almost day-to-day. The fact that fashion changes so rapidly as time goes on makes child dress designers headache. Child dress designers have to draw lots of clothing designs on paper to follow the fashion trend which costs plenty of time. Our child dress design software is a good assistant for you to design all kind of pretty and comfortable clothes for your lovely children. We believe that your children will love the clothes you designed for them with the help of the ready-made examples and templates in our software. Learn to choose dresses for flower girls here. 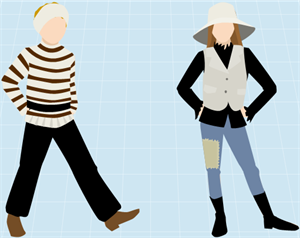 Here are more tips about how to match clothes. Edraw provides you many child dress design templates, which you can just drag and drop to your drawing. You can also rearrange them to get the dressing style you like. 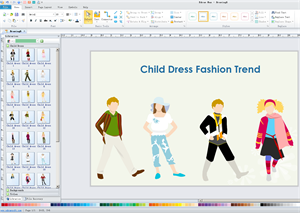 This fast and easy software allows you to create good-looking and fashionable child dress designs in minutes. Edraw child dress design templates offer you lots of beautiful child dress designs. 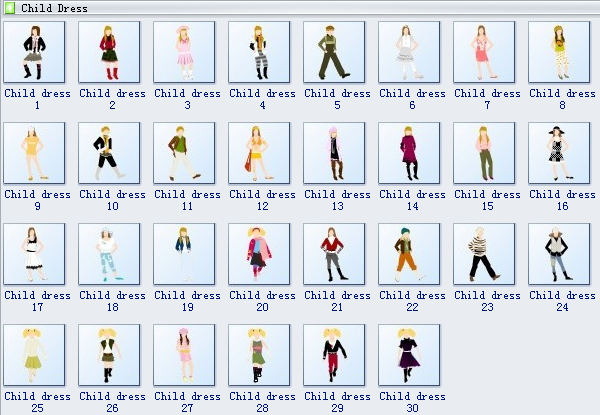 No matter whether you design the clothes for a girl or a boy, you are bound to love our child dress design software. You will surely experience the fun of the designing the dress in the way you like with our child dress design software. A beautiful child dress design is ready to use in vector format for your own designs. A good-looking child dress design is ready to use in vector format for your own designs. An attractive child dress design is ready to use in vector format for your own designs.